Hidden in Time: Mirror Mirror Game - Download and Play Free Version! An antique mirror holds a family secret and the mysteries of Castle Fairwich. It's up to you to search the ancient family castle and seek clues through the broken mirror shards. What will you find in the mirror? You've just discovered that you're part of an ancient lineage with wealth and riches in the Castle Fairwich. But the historic castle is to be sold in 9 days so you must work quickly to discover the Fairwich family secrets. 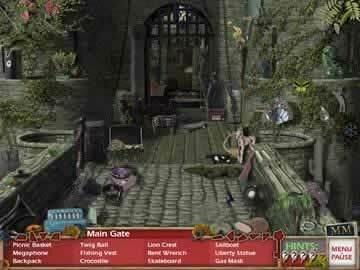 This hidden-object game will have you searching the cluttered rooms of Castle Fairwich for various items and clues. Your goal is to find the 9 lost shards of glass from the magic mirror that was broken by the Duke generations ago. This will release the family secret and unite the family. 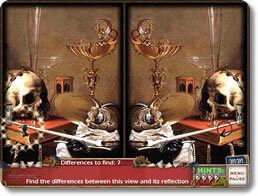 Play one of three mini-games in between each beautifully rendered scene: reflect mirrors to reveal a hidden clue, spot the differences between two mirrored scenes or repair images by flipping them to reveal a hidden message. If you just want to search for clues, you have the option of skipping the mini-games. Play Hidden in Time: Mirror Mirror for a hidden-object quest to uncover the family secrets. Use your careful eye to pick out the clues from the artistically cluttered scenes. With timed mode and relaxed mode, you can play at your own pace or race the clock on 9 levels with 3 locations each. For all your hidden-object adventure mystery-solving needs download Hidden in Time: Mirror Mirror today. 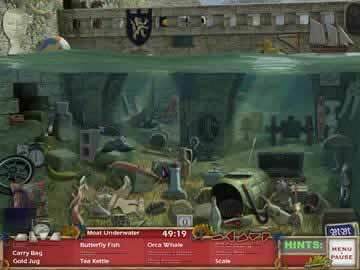 Check out some of the gameplay and challenegs in this hidden object game.